Lojong is a Tibetan Buddhist practice of mind training that uses 59 slogans and meditation to cut through attachments and awaken the heart. The idea is to use your problems as the fuel to develop compassion for others and yourself. The slogans are designed to undercut the negative thought patterns of your ego that cause suffering. Each slogan is a short, easily remembered phrase that you can use as the basis for meditation or contemplation. They’re not instructions for how to behave, but guidelines to encourage you in the right direction. 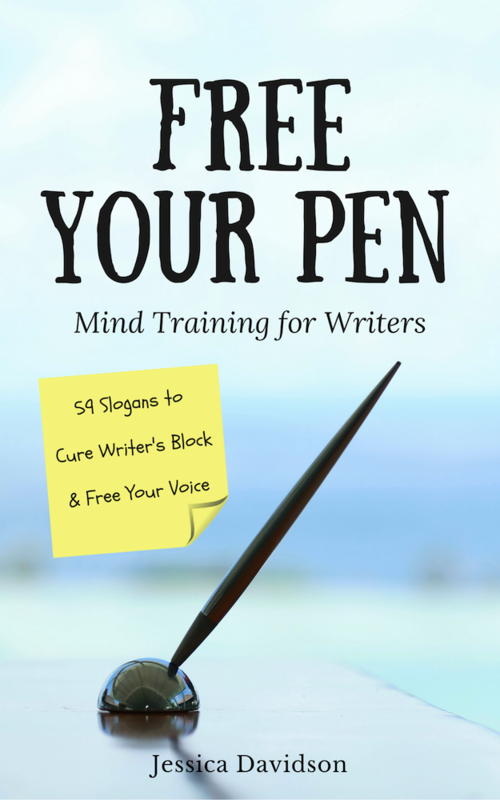 Free Your Pen includes details on the original slogans and explores the teachings before looking at how you can apply each slogan to your writing practice. To practice with the slogans you can incorporate them into your regular meditation practice, if you have one. Choose a slogan to contemplate, study the teaching and then sit for a time to meditate on what you have learned. After meditation, write your insights in a journal. You might like to commit to a daily writing practice based on the slogans, or perhaps incorporate it into your existing routine. If you write a journal or do morning pages, you could pick a different slogan to explore each day, or set aside a special time to work with the slogans. The slogans can also be used for self-inquiry or therapy using free writing or journaling, or you could even use them as inspiration for crafted works, such as poems, short stories, novels, or non-fiction. I don’t want to give too much direction in what to do with the slogans because you’ll need to find your own way of working with them. Sometimes a slogan will immediately resonate with you and you know exactly how to apply it and what you need to learn from it. But others may take a little more thought and time. If you would like to find out more about the slogans and study them further, buy the book and visit the Resources page to explore the links.